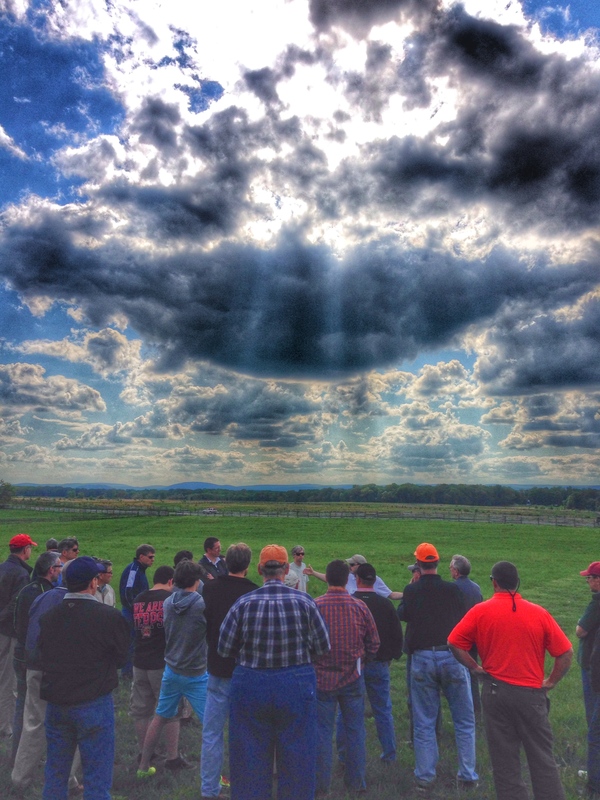 Last weekend, my church held a men’s retreat in Gettysburg, PA. Once that location was chosen, my pastor brought me in to the planning process with the idea that I’d lead a tour of the battlefield as a free time option for the men who were attending. While I was really excited about that part, the experience turned out to be so much more. Our speaker for the retreat, Drew Derreth, gave some fantastic insights on the struggles we face as men. In many ways, he led us in sort of an “anti-men’s retreat”. We focused not on how to be big manly, go-get-’em men, but on how to acknowledge that none of us is really capable of being as strong as we’d like to be, and that we should embrace the path of weakness, humility, and grace. The talks were well-received by the guys, and brought questions immediately after the sessions, so they worked as a nice ice-breaker for me with some of the guys I didn’t know at the church. It was also super cool that one of the guys, Ken – a Civil War re-enactor – brought some of his artifacts along so there was some actual, tangible history in the room. That extra touch really brought it home in my opinion. The tour took place on Saturday afternoon, and was scheduled as a 3-hour excursion during our free time. After a quick lunch at the always-awesome Tommy’s Pizza, we rolled out to the first day’s battlefield, and everyone got a hand-out with the list of stops and some maps for reference. As much as I love being in Gettysburg and sharing the history surrounding that little town with other people, last weekend was about so much more than that. Even though I’ve been going to Chapelgate church services for several years with my wife, and have become really close with many of the staff members there, I haven’t really felt like I was part of the “community” until last weekend. We have a great group of men who really embraced me as one of their own, and I’m very thankful for that.